Need Just A Few Seconds Of Stock Footage? Roll Your Own With Our Custom Cuts Service. Need Just A Few Seconds From A Title? Our "Custom Cuts" service lets you create the perfect stock footage clip. 2. Note the time-code at the bottom of the preview. When we receive your request, we’ll issue an electronic invoice which can be paid through PayPal or by credit card. Once paid, we’ll upload the cut(s) to our server and send you a download link within 24 hours M-F. 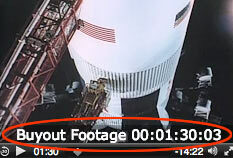 Buyout Footage has long been the leader for TrueHD 1080p direct film transfers. Now we're offering UHD/4K scans for the vast majority of our historic film library. Scans will be made on a 'per order' basis, so browse our library and let us know what you need. You can also email us your requests and we'll be happy to research the footage for you.